Have you ever had skin itchy so intense, you couldn’t think of anything but scratching it raw? If you suffer from eczema, then you’re probably most familiar with the feeling. However, if you’re not suffering from eczema, there can be several other reasons why your skin may be itchy. If you’re ever wondered how to stop itching your skin, then we’re here to help. This blog post is dedicated to all things itchy! Learn how to stop itching today. 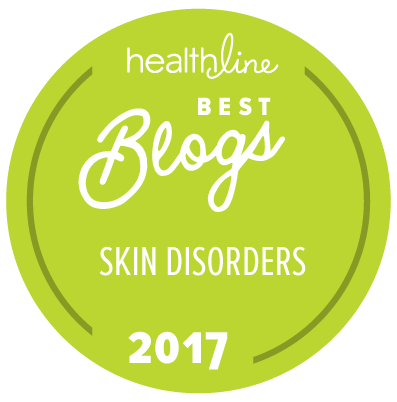 Find out what other skin conditions can be causing itchy skin, as well as which products to avoid. Lastly, we’ll share some natural treatments that will ease your itchy skin and decrease scratching. Please keep in mind that although these tips and information have worked for several sufferers, I am in no way a medical professional. If you’re experiencing severe symptoms or have a topical infection, it is always best to seek medical advice immediately. Aside from more severe skin conditions, dry skin is usually the main factor that contributes to itching. Although there are many similarities between dry skin and eczema, there are several differences as well. The biggest factor in determining whether you have eczema or just dry skin is understanding what may cause your itchy skin. Normally, dry skin occurs when the outer layers of skin become damaged due to the sun, exposure to water (especially chlorine) or dry air (especially with heating units in the winter) or ingredients in products that strip the skin of its natural moisture. With dry skin, skin usually feels tight and stretched, but can be slightly flaky causing the skin to look a little white, gray or ashy. After dry skin, this is the most common cause of itchy skin. With eczema, the itch can be nearly impossible to tolerate due to its intensity and frequency. Usually the skin will also be red and inflamed or thick and scaly or weeping and oozing. Eczema is usually chronic and is caused by stress, sensitivities to food, environmental or seasonal allergies and/or reactions to topical products. Psoriasis, although sometimes incorrectly grouped with eczema, is a chronic autoimmune skin condition that is characterized by red, itchy and patches also known as scales. With psoriasis, cells build up rapidly on the surface of the skin. If your skin is constantly itchy and flaring up due to a reaction to a skin care or cleaning product, food or something in your environment, you may have allergies! Allergies can create hives, rashes and intense itching and can even trigger more chronic eczema if exposed to the allergen for long periods of time. When someone reacts to something topically only with the reaction only occurring on the skin, this is called contact dermatitis. In order to know what might be causing the itch, there are a variety of tests you can do. First, if you think you might be suffering from a food allergy, it’s best to go see a doctor or naturopath that can help you find relief. 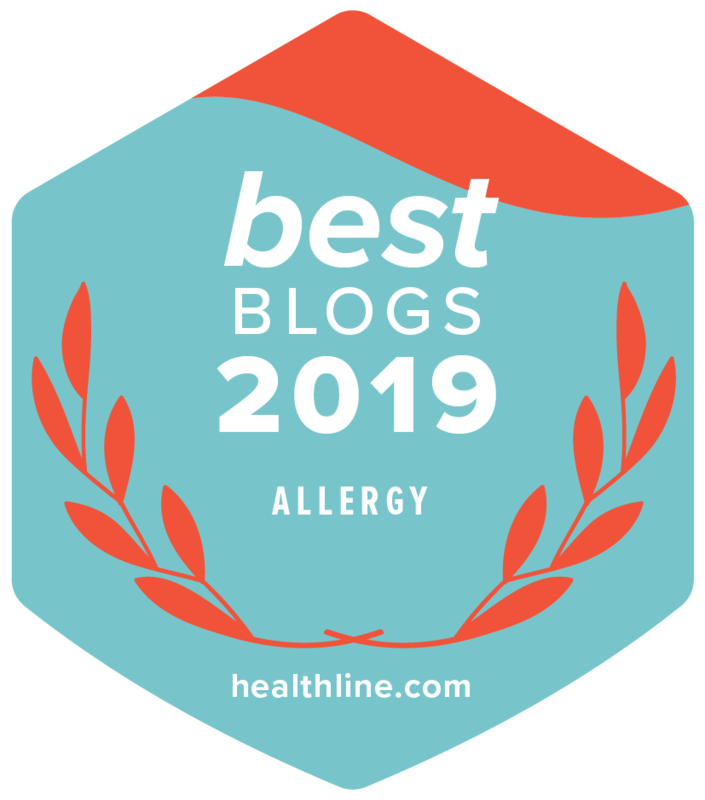 If you feel you might already be suffering from a food allergy or sensitivity, check out our post: How to Identify Your Reaction: Allergy vs. Sensitivity vs. Intolerance Defined. There are also a variety of allergy tests you can carry out. For more information on those, check out our blog post: How to Know Which Food Allergy Test is Best For You? Or you can work with a physician to undergo an elimination diet. If you happen to be experiencing allergies from the clothing you’re wearing, then you might have textile dermatitis. The best way to know if a certain material or fabric might be affecting you, would be to carry out a clothing elimination test, similar to how you would carry out an elimination diet. To learn more about which materials can cause the most irritation, as well as how to run a clothing elimination test, check out our post: Your Guide to Textile Dermatitis: Latex Hypersensitivity & Polyester Allergy Explained. How to stop itching, what products should you avoid? Artificially scented soap: You’d be surprised how certain added artificial fragrances and perfumes can irritate skin and are best avoided. Essential oils are usually ok and certain types can actually help to heal or prevent dry skin. Harsh cleansers: It’s best to avoid any chemical filled body washes or skin cleansers that tend to be more alkaline and not pH balanced like the skin needs. These will strip the skin of its natural moisture and can definitely lead to itchy skin. Alcohol: Avoid using products that contain alcohol or any sort. While some are slightly less drying than others, all forms of alcohol will without a doubt dry out skin. And if the skin is dry enough and has led to cracked skin, products containing alcohol will also irritate and burn the skin. What products can help itchy skin? Organic Manuka Honey Skin Soothing Cream: This cream is made with Manuka Honey, beeswax and organic tree nut-free oils to relieve even the driest skin. Works great on the entire body, face included! EczeHerbal Colloidal Oatmeal Eczema Cream: If you’ve never tried oatmeal for severely dry skin, then you have to try this cream! Perfect for itchy skin and inflammation too, so that you can find relief quickly. Emily Skin Soothers’ Super Dry Soother: This formula was created with Chinese herbs to accelerate healing and help moisturize dry skin. A perfect choice to use on infants or children too. With eczema, it’s best to look for a product that is made specifically for the eczema symptoms you’re experiencing. Weeping/Oozing Eczema: EczeHerbal #1 Oozing Eczema Treatment: This formula was made to calm weeping, oozing eczema that looks angry and red. Red Eczema: Emily’s Hot Skin Soother: Chinese herbs have been blended with natural oils to create one powerful anti-inflammatory balm to treat red eczema rashes. Dry Eczema: Organic Manuka Skin Soothing Cream: This cream gets a second mention because it’s really great for so many types of skin conditions, especially any sort of dry skin. Thick/Scaly Eczema: EczeHerbal #3 Dry Scaly Treatment: Another blend with Chinese herbs, but this time the formulation was created just for combating thick, scaly skin. Emily Skin Soother’s Natural Body Wash for Eczema: This soap is perfect for those suffering from psoriasis, as it’s extra moisturizing and free of nasty chemicals. Unlike other soaps available today, it won’t strip or dry skin out. Coconut Aloe Moisturizing Serum: Coconut oil is extremely popular among eczema sufferers, but it can also be beneficial for those suffering from psoriasis. Not only does this serum contain coconut oil, but anti-inflammatory aloe vera helps keep skin cool and wounds healed. If you have allergy-prone skin, check out these products that are great for those with allergies – of course – just double check the ingredients to ensure none of your known allergies are listed. We don’t want you to learn how to stop itching, just to try a new product with an ingredient that is going to give you an allergic reaction. A good tip for trying new skin care: always do a small patch test first. Organic Calendula Salve: This balm is so simple and pure it only has 4 ingredients: olive oil, calendula, beeswax and vitamin E, making it more tolerable and gentle for those with many allergies. Grass Fed Tallow Balm: Unlike artificial balms, this mixture again uses very simple, nourishing ingredients like beef tallow for moisture and itch relief. Little Itchy Skin Rash Treatment: This red rash treatment is perfect for soothing any red rash or itchy spot with minor inflammation. Completely beeswax-free and vegan for allergy-prone skin. EczeHerbal #2: Itchy Skin Rash Treatment: If you’re experiencing dry, red and itchy skin, then this is the product for you. This treatment is filled with natural Chinese herbs that are safe for infants, children, adults and even pets! Organic Aloe Vera Skin Soothing Spray: Cooling aloe and soothing calendula can be gently misted onto itchy skin for fast relief with this spray. It’s great to carry in your bag for itch relief on the go! Something that works wonders for dry, itchy skin is something you may never have heard about, wet wrapping! It’s a popular form of treatment for eczema and psoriasis, but is very effective for many other skin conditions as well. It’s basically all about soaking with water and moisture and then sealing the moisture in for two hours or more using a damp layer of clothing. Read more about wet wrapping in Our Eczema Trials: Wet Wrap Therapy. Something we usually recommend first, because it’s easier and less messy, is dry wrapping. Make sure to check it out too – it’s a good first step. Learn all about dry wrapping. If you can’t seem to heal your itchy skin from the above recommended products because you’re constantly scratching, make sure to cover your hands and protect yourself from scratching with mittens and gloves! The itch-scratch cycle is no joke. Your skin may start off smooth and normal looking, but once the itching starts, you can scratch so hard that you cause a wound to open up or you’ll create thick skin which will need treatment and time to heal. When the healing begins, the itching may start again and you’re back to scratching mode all over again. So, give your skin the protection it deserves and wear gloves or mittens when you feel the urge to scratch, but it’s most important overnight. If you’re itchy in the night, you will scratch and won’t even know it until you wake up and find the evidence written all over your damaged skin. You can try acupressure at home! Yes, it’s that easy! And there are a couple of points that when pressure is applied, can really help to relief itching. Check out How to Use Acupressure for Eczema: A Home Remedy for Itchy Skin.We’re sure this will help you with how to stop itching and scratching. Our resident naturopath, Dr. Amy Duong, is an expert in all things skin related. She has a few tips she always shares with her patients to help them soothe their itchy skin naturally. Check her tips out here. If you continue to experience itchy skin, make sure to visit your doctor as soon as possible. Have you learned how to stop itching your skin? What works for you? These are valuable information. It’s great. Thank you for sharing.